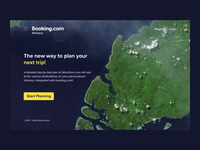 Booking.com Search & Personalized Offers with a taste of fun, less cluttered and more white space. • Showing the average weather forecast for the selected date of travel. • Showing a symbol of the city or country besides country/city name. • Showing personalized offers based on your previous searched destinations for the current selected date range. • A better Call to action (CTA) for the hosts and properties to list their property in Booking.com. 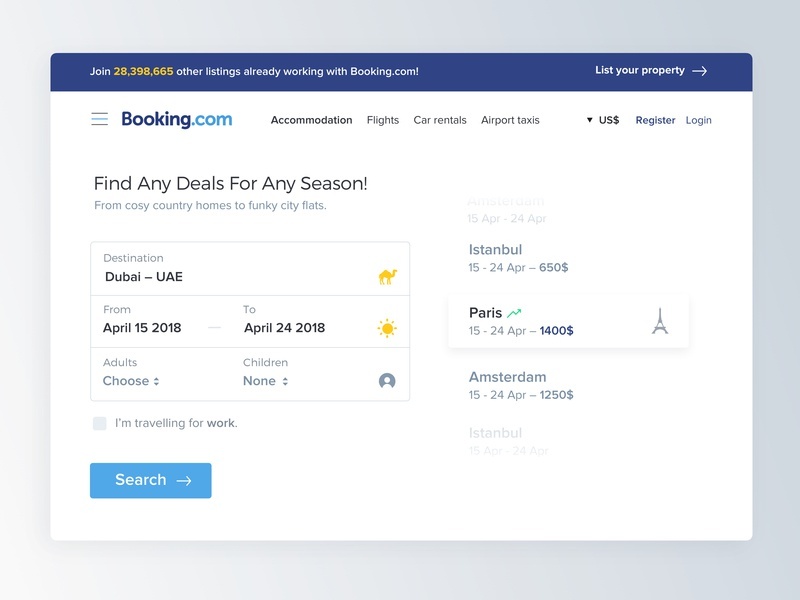 Highlighted the number of properties and hotels joined and working with Booking.com. It will work as a increasing counter so they feel they are missing a chance while others are joining! 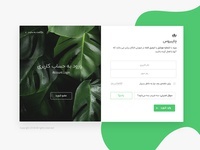 • A Hamburger menu for showing the most useful and viewed pages in footer so they don't have to scroll all the way down and up all the time.